Ghanaian budding rapper, Kwesi Slay says he cannot collaborate with the “One Corner” hitmaker, Patapaa Amisty. Speaking on Daybreak Hitz on Hitz FM, Thursday, the “Seven” hitmaker indicated that the only artiste he cannot work with is the Swedru-based artiste. According to him, his rap style and genre don’t tally with that of the “One Corner” hitmaker. Kwesi Slay told Andy that “i wont work with Patupa. We are quite different people. if only he can ride on trap beats…” he said. He, however, mentioned that he would love to jump on a song with Sarkodie, Okomfo Kwadee and Okyeame Kwame. 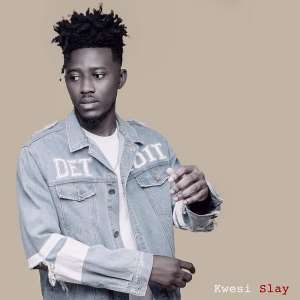 Kwesi Slay is currently promoting his EP album dubbed “Aben”.